One of the most asked questions about being a Mom (besides where did Baby K get her red hair?) is what item/product has been the most helpful? Our house is FULL of new products and I’m having fun trying everything out. I have two products that are my favorite, which have been helpful for different reasons. 1.) Swaddle Me Blankets: Our little angel is an escape artist. No matter what we do when we swaddle her in a regular blanket, she is always able to pull her arms out. The Swaddle Me Blanket helps because we are able to swaddle Baby K tighter, keeping her arms tucked in and making her nice and cozy. Yes, the Swaddle Me looks like straight jacket, but it truly helps Baby K sleep better through the night (and I’m not just saying that to make myself feel better). We don’t have to worry about her waking herself up when she flails her arms uncontrollably, she is able to sleep peacefully and I know she will stay warm through the night. She likes to dance in her sleep when she isn't in the Swaddle Me Blanket. 2.) The Breast Friend: Excuse me for going there, but this pillow is the best thing ever. I tried to nurse by propping Baby K up on a Boppy, but since she was so little she would slip down in between me and the pillow making the whole process unsuccessful. Enter the Breast Friend and our problems with nursing are behind us. The Breast Friend is a firm pillow (unlike the soft Boppy) that actually attaches around my waist like an inner tube. Baby K rests comfortably on the top of the pillow and nurses to her heart’s content. She finds the pillow so comfortable that she often falls asleep like it’s her own little mini baby mattress. 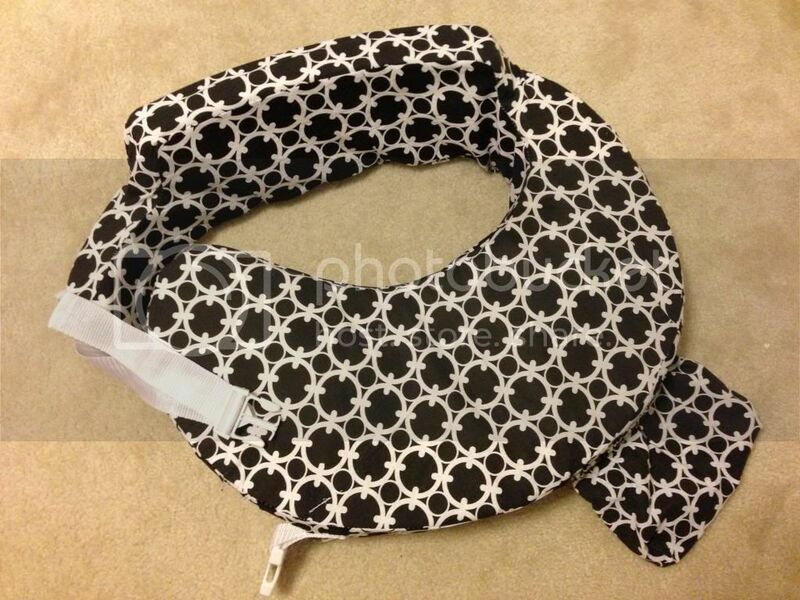 I highly recommend this pillow to anyone who is considering breast feeding – it is a serious lifesaver. Do you have any products that you swear by for use with babies? I’d love to hear your advice so feel free to leave your thoughts in the comments below. Stella did not like to be swaddled after the first week, so we had this nice swaddle me thing that we registered for that never got used (we ended up giving it to a friend so eventually it got used!) now that Breast Friend must be a new product and genius! I remember the boppy pillow being ginormous compared to Stella! I'll have to get one of these for our next baby...and what a genius name for a product!! Haha!! 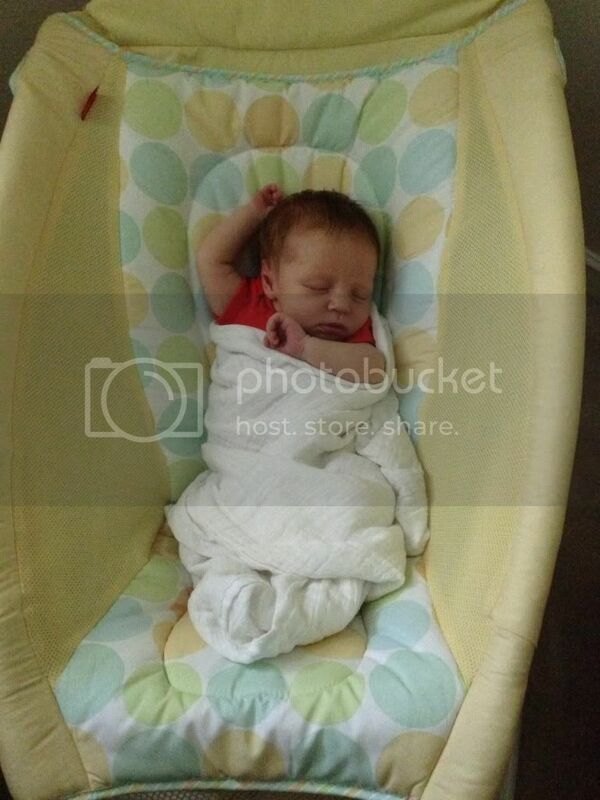 We LOVE the easy fold in your first picture of Baby K. We had a bassinet for Jackson and he hated it. He still loves the easy fold! Like the previous post, Jackson disliked the swaddle as well. I have heard it works for lots of kiddos though! With my first little one the My Breast Friend was indeed my best friend! You become a pro though, so I ditched all of the pillow things for Baby #2. With #2, that cradle / rocker that you have in the first picture has been life saving. I honestly thought that we would never use it, but my mom bought it anyway and Baby #2 has lived in that thing. With both girls, the Nosefrida has been life changing!! I can't recommend that product enough to new parents. It looks awful and disgusting, but it is wonderful and a life saver when your little one is sick. Run out and buy it now, so you won't be searching all over for it when cold season comes around. oh girl i am taking NOTES! We have our swaddle me blankies all ready to go! I love hearing from new mamas on what has been their life savers! Oh man, these are going on the list!!! 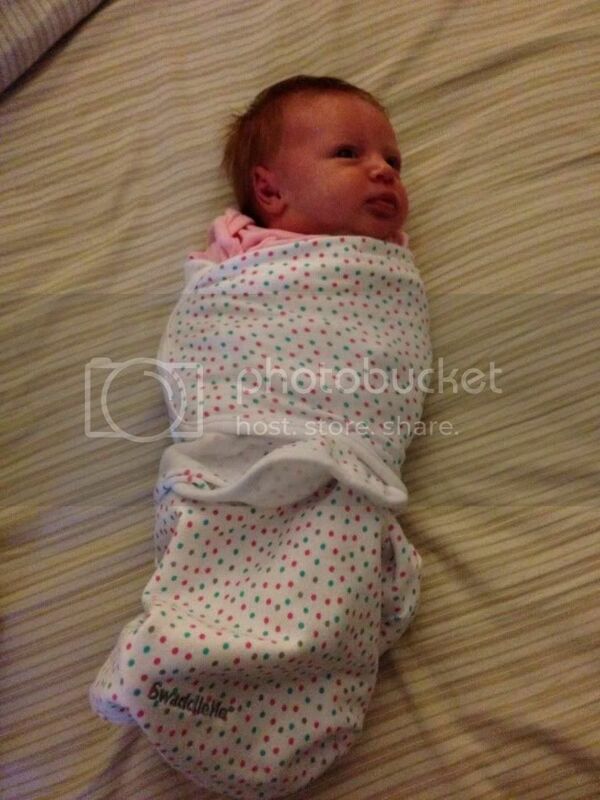 I've heard that the Miracle Blanket is great, if Baby K ever escapes the SwaddleMe. Right now the activity gym/mat and the Beco carrier are the best things in the house. The Miracle Blanket IS great if baby learns to bust out if the Swaddleme. I highly recommend it.